[March, 2017] Why not compare this release against its two sucessors Dark Cove (WB id 81438) and Kelpie (WB id 86163)? The colour of the Perpetuum is clearly the most pale of the three, while Dark Cove (nomen est omen) is the darkest. Kelpie is closer to Perpetuum than to Dark Cove, maybe just one or two shades darker. 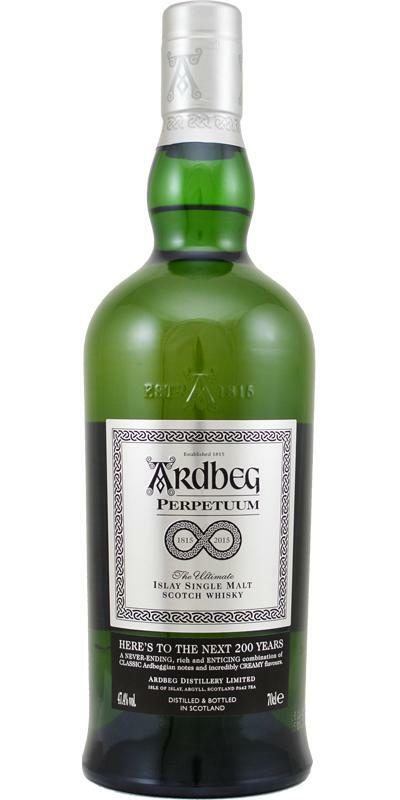 While Perpetuum has the most Ardbeg trademark nose (surprisingly) Dark Cove is rather shy but much sweeter (due to the dark sherry casks) and Kelpie offers some strange aromas on eucalyptus and camphor (that remind me a little bit of a cough medicine and disinfectant solution). 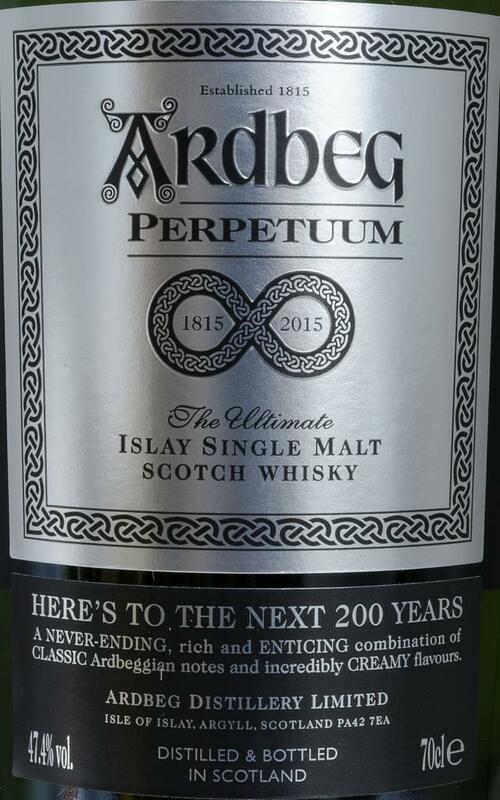 Interestingly I find the Perpetuum best and the Kelpie by far the weakest in this head-to-head. 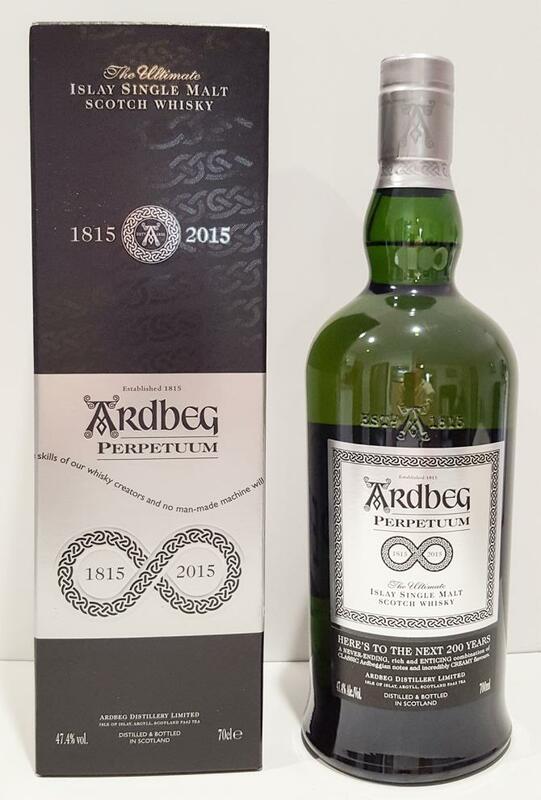 Perpetuum is based all around sweet and peaty flavours that are not too complex, but somehow balanced. 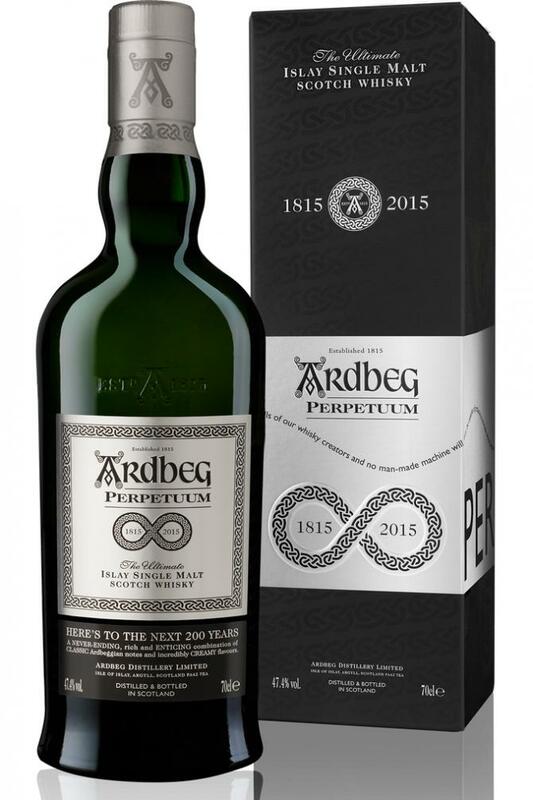 Dark Cove is due to the sherry casks much sweeter, the peat is more in the background. Again it is a little bit hot and peppery. Kelpie is all about this strange eucalyptus/menthol flavour (maybe they should have named it "Koala" instead) - if you love this, than it is probably very interesting (Helmut Schmidt, the former German chancellor, who smoked menthol cigarettes only would like this, probably). But I do not, I hate menthol as it reminds me of bitter medicine... You guess my rating for this round now, don't you? Classic for the distillery. 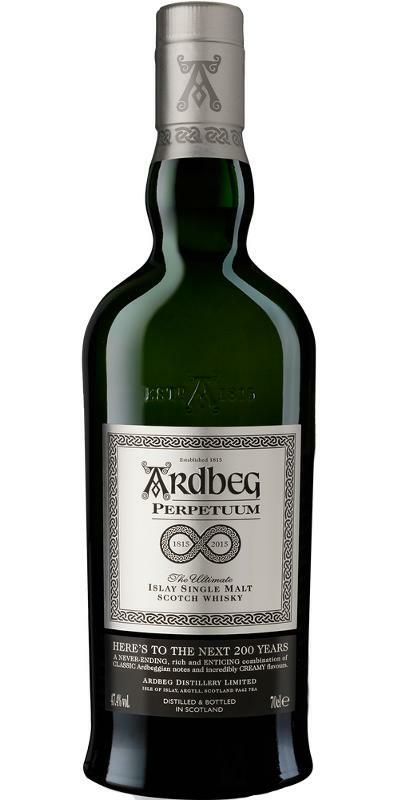 Gentle peat. Lemon- Medicinal. Apples. minerals campher. Sweet peat. Frassy. Lemons. Sweet liquerice. Fruity. White pepper. Herbs. It's not so very special to be honest. It's not a bad whisky by all means, and it doesn't have any obvious flaws. Yet it's a rather uninspiring combination of lemon, peat and vanilla. 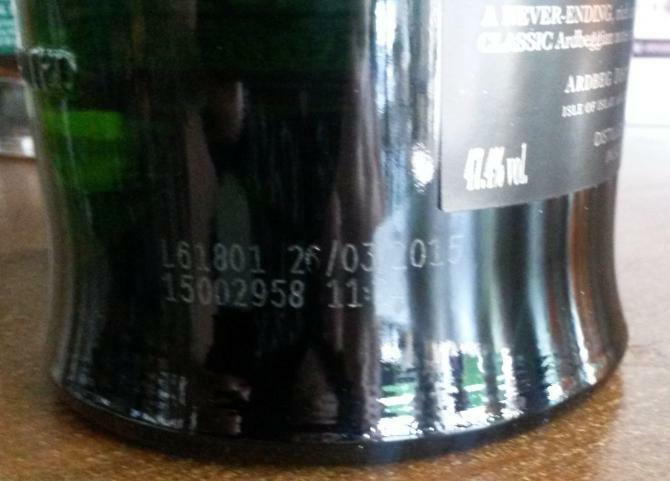 If it would have been a standard bottling instead of the yearly Ardbeg special, I wouldn't have been surprised. Very mineral actually, on limestone and a pebble beach. 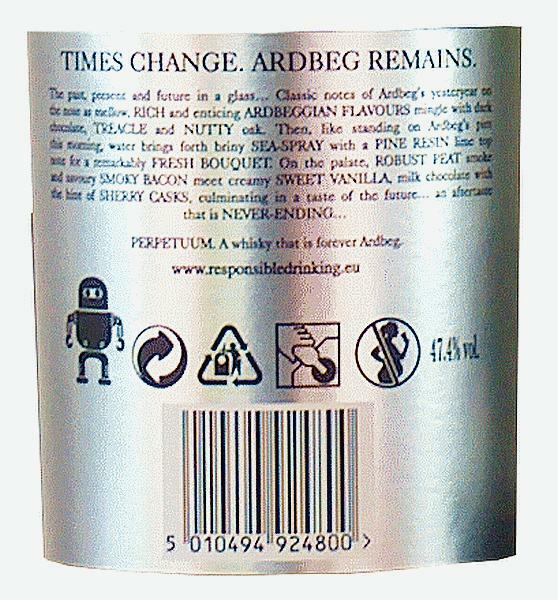 Further: moderately peaty (especially for Ardbeg), with moss, kippers and wood smoke. Futher: vanilla, lemon and red apple. Medium-bodied, rather mellow with dominance of vanilla and minerals. Further: mossy peat, ash from the bbq, and lemon juice. It is nothing spectacular, even rather dull. 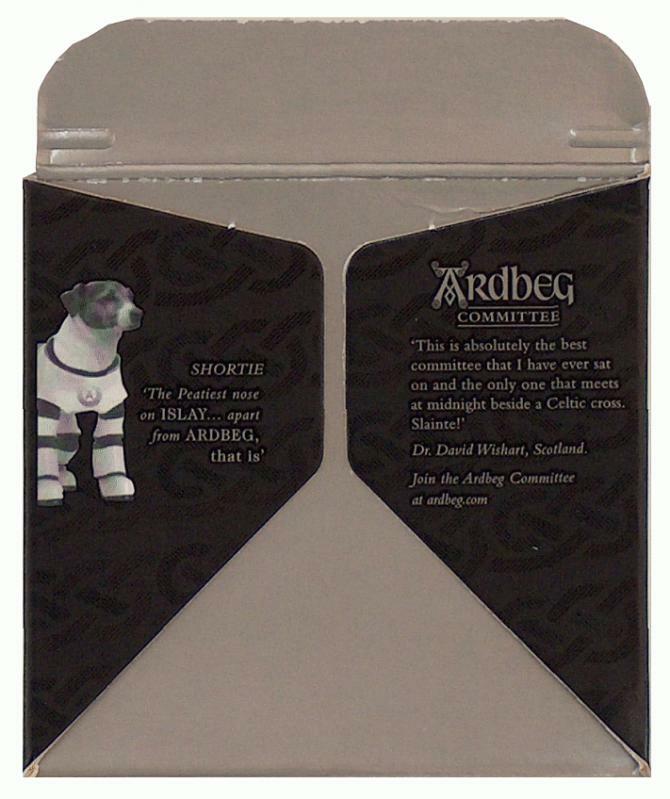 A hint of pepper and ginger, lemon zest, and mossy peat. It fades too quickly.